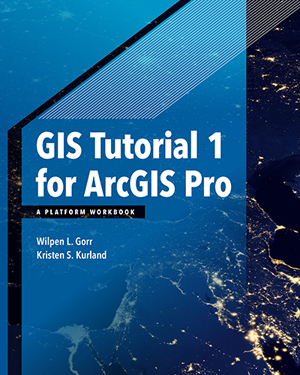 In Imagery and GIS: Best Practices for Extracting Information from Imagery, readers learn how to successfully integrate imagery into maps and GIS projects. 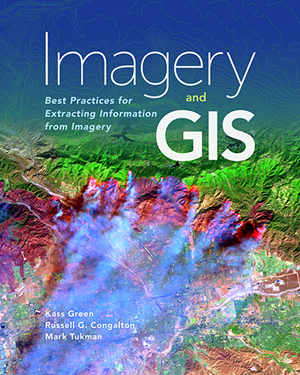 Demonstrating how to efficiently manage and serve imagery datasets, the book also shows how GIS can be used to derive value from imagery. The authors draw on a combined total of 85 years of experience in the field to share practical advice and lessons learned from applying these techniques in the real world. With more than 150 full-color illustrations, this reference guide helps practitioners obtain the most value from their imagery. Fall 2017. 448 pp. E-book ISBN: 9781589484894, and paperback ISBN: 9781589484542.